Apple's MFi licensing program allows third party manufacturers to produce Apple certified accessories for the iPhone. These include popular accessories such as chargers and cables. Just last week, Apple told members of the MFi program that it will allow MFi licensed companies to produce a USB-C to Lighting cable for both charging and syncing. 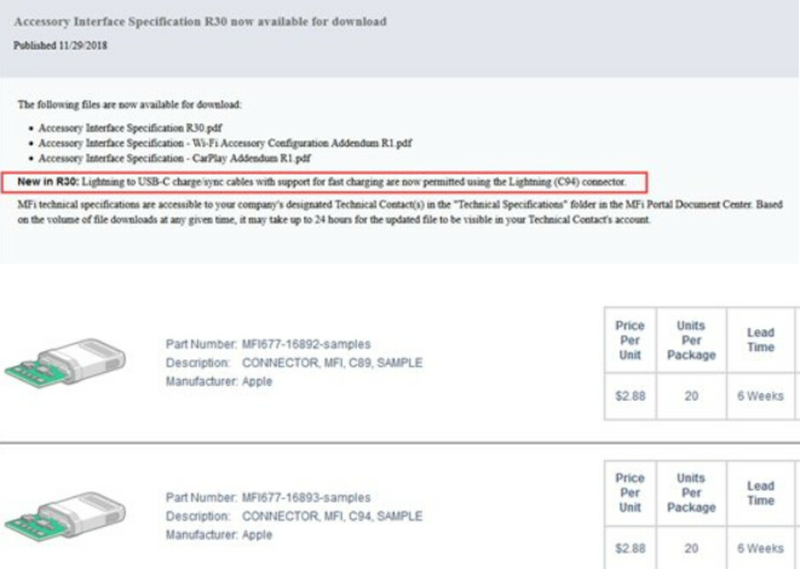 Apple is demanding that these cable include a new Lightning connector manufactured by Apple with part number C94. Apple is offering this component for $2.88 each with a 6 week shipping time, according to documents shared by MacRumors. Those interested in fast charging the iPhone 8 and iPhone 8 Plus must use a USB-C to Lightning cable with a power adapter charging at a rate of 18W+. With a standard power adapter, the C94 will support a maximum charge of 15W. 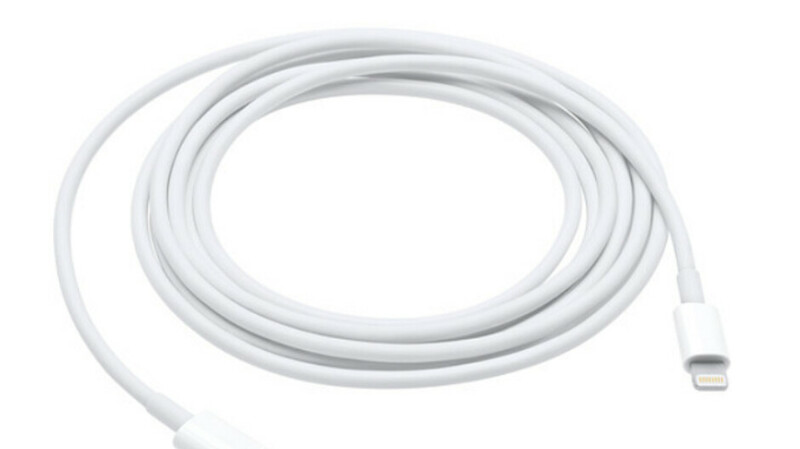 Apple currently charges $19 for its 1 meter USB-C to Lightning cord (3 feet 3 inches), and $35 for its 2 meter version. At B&H, this is one of the retailer's top sellers. Even though the MFi licensing program allows third party manufacturers to produce cheaper versions of iPhone accessories, these accessories are certified to meet Apple's own performance standards. With the aforementioned 6 week delivery time for the C94 component, we could see companies like Anker, Aukey, Belkin, and Incipio launching their own USB-C to Lightning cables by February at the earliest. apple, this shoulda been usb-c to usb-c... i loved lightning, it was miles ahead of mini/micro usb that we had on android phones up to recently, but now there's no advantage of lightning over usb-c.
of course there is, it's called royalty fees. Cool. Just 3 yrs delayed. or just use usb-c in the first place. When Apple introduced lighting - the USB-c was a series of concepts that were still in the works. It was a wow factor that you can plug in the port anyway you want - one of the reasons I switched to iPhone with 5s. It was a great feat just by that standard. It also held to your device much better than micro USB. And it gave a reassuring “click” when u plug it in. A world of difference in ports. Now that USB-c is out - the only advantage lighting has is its “click” and that it holds the device pretty good if you happen to grab it by the cord. But USB-C has better data transfer properties as well as back to back charging abilities. Apple should switch now. It would make more sense considering their Macbooks are now relying on USB-C for charging.